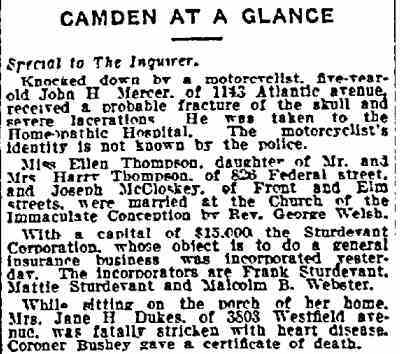 Camden People - Albert V. Dukes Sr.
ALBERT VICTOR DUKES SR. was born in Philadelphia on May 2, 1892 to Benjamin and Jane H. Dukes. 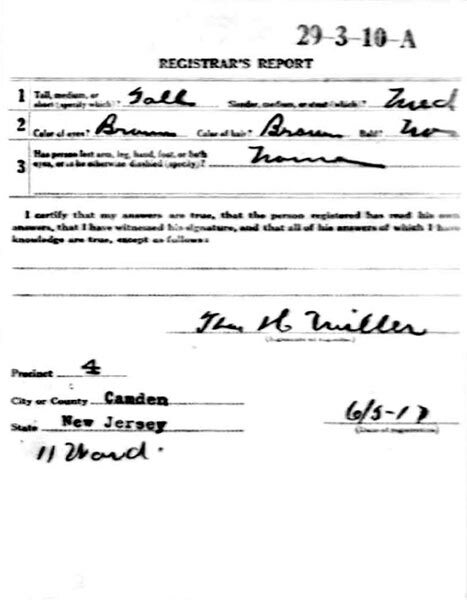 The 1900 Census shows that his family had moved to Haddon Township, New Jersey. 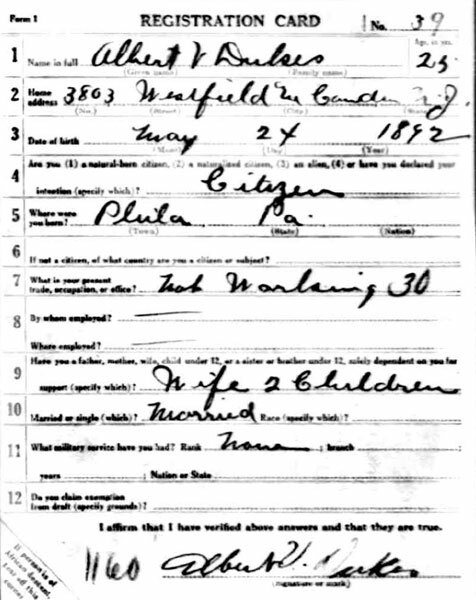 Besides Albert, there was an older step-sister, Mary McCoy, and younger siblings Benjamin F. and Sarah Ruth Dukes, as well as his grandmother Matilda Garrett. Benjamin Dukes worked as a compositor. 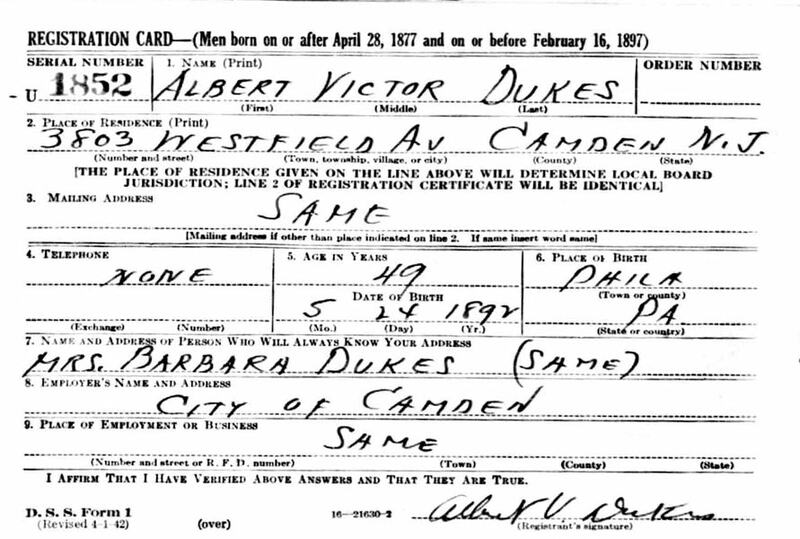 Albert V. Dukes Sr. was living in Camden when, in Camden on September 8, 1914, his wife Barbara gave birth to there first child, Albert V. Dukes Jr. Two more sons would follow, Charles Dukes and Robert Dukes. 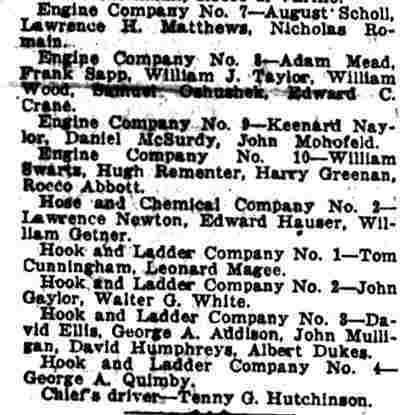 His mother lived with them, sadly, she died in July of 1915. The family was then residing at 3803 Westfield Avenue in East Camden. Albert Dukes Sr. was then out of work but soon landed a job working as a record maker at the Victor Talking Machine Company. 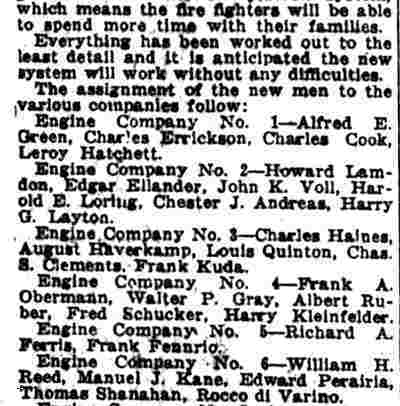 Shortly after the January 1920 Census enumeration Albert V. Dukes Sr. joined the Camden Fire Department, serving for many years with Engine Company No. 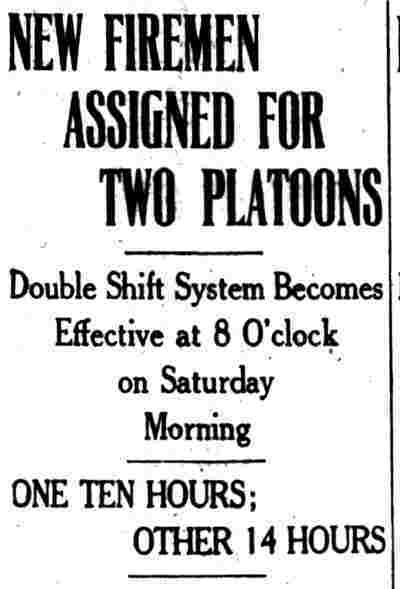 9, Twenty-seventh and Federal Streets. The Dukes family remained at 3803 Westfield Avenue through at least 1947. 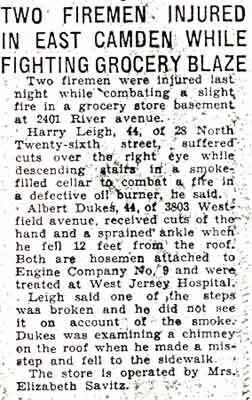 In February of 1938 Albert V. Dukes Jr. joined his father as a member of the Camden Fire Department. 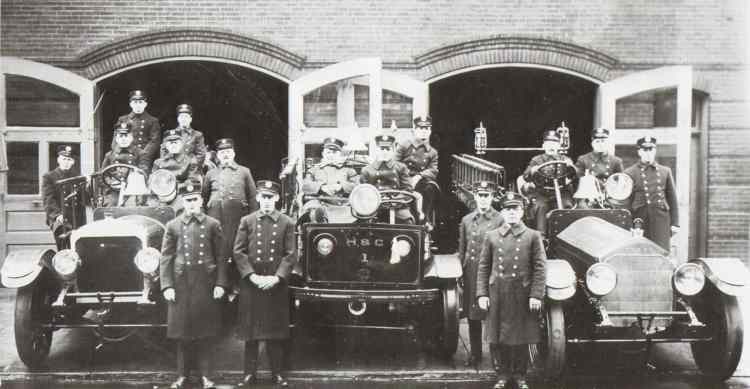 Robert Dukes joined the department in 1947 and would serve for over 30 years and rise to the rank of Battalion Chief. 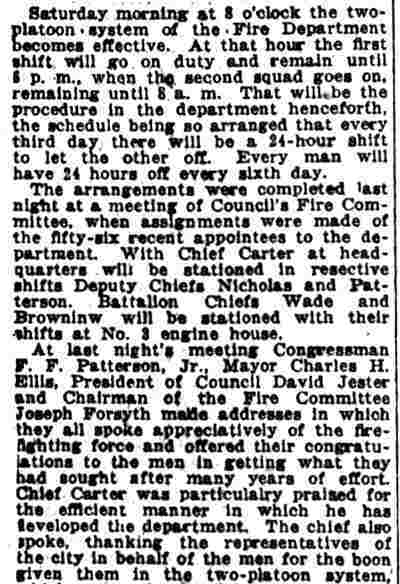 By 1952 Albert V. Dukes Sr. had retired from the Camden Fire Department and had moved to Deland, Floriada. He passed away in Florida on May 22, 1953 and was buried there. His widow, Barbara Dukes, was living at 301 Beideman Avenue in Camden's Westfield Acres Apartments when the 1959 New Jersey Bell Telephone Directory was compiled. She died in 1961 and was buried at Arlington Cemetery in Pennsauken, New Jersey.